We searched on Pinterest for inspiring ways to organize your baubles and found a handful of creative ideas. Not only will you never again struggle to unearth that long-lost necklace, you’ll be able to display your favorite pieces beautifully and stylishly. 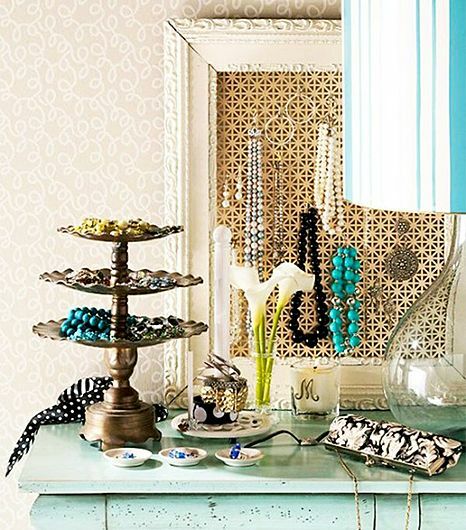 Click through our slideshow to try these decluttering ideas and shop our favorite jewelry trays, bowls, and more.